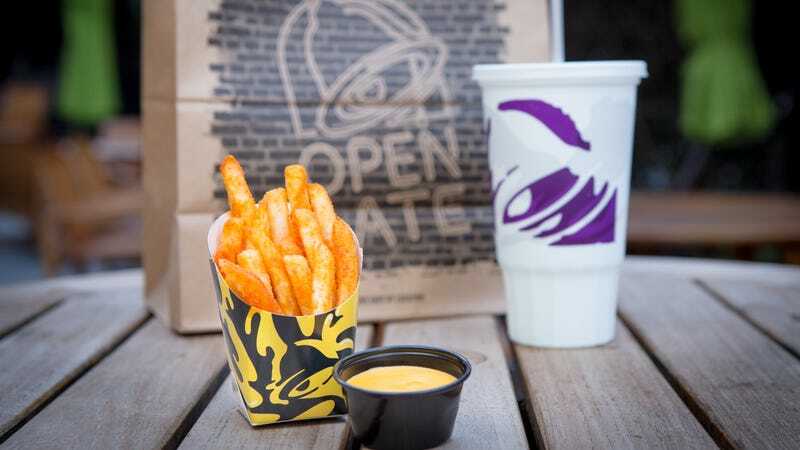 First, the big news: Taco Bell is bringing back Nacho Fries once again, beginning January 24. Their return will be for a limited time only—McRib-style, you might call it—but lovers of seasoned potatoes and cheese dip can rejoice in their resurrection, however temporary. The bestowing of golden Nacho Fries will happen only between 10 a.m. and 2 p.m. tomorrow (January 18) and only while supplies last. A list of participating locations can be found below.